Bugles and Terry are a Wednesday Night Run tradition. 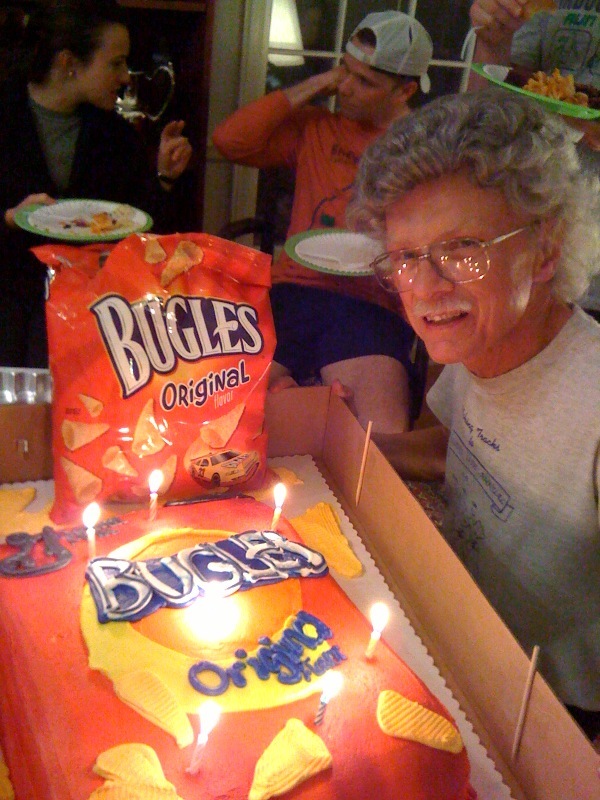 So this week to wish Terry a happy birthday there was a very unique Bugles Cake. Photo shows Terry, the cake and an authentic bag of Bugles.